Enterprise Planning Resource (ERP) software has advanced to such an extent that it is difficult to foresee major breakthroughs in 2019. 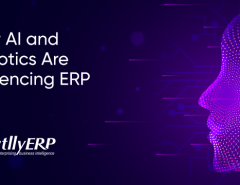 Unless one plans to integrate ERP with Internet of Things (IoT), artificial intelligence or Blockchain, one isn’t going to witness dramatic shifts in ERP trends this year. 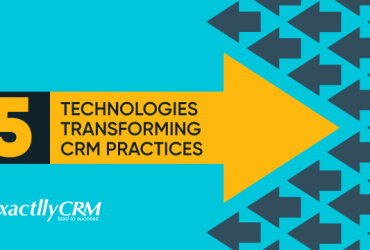 In addition, more businesses are implementing ERP for its obvious benefits and have begun to integrate it with other enterprise tools such as CRM and HRMS. Many e-commerce businesses have begun to integrate ERP with their online stores as well. This leaves us with trends that are quite abstract and subtle, but important nonetheless. Understanding how these trends will play out in 2019 will help you make better use of your ERP. Research shows that 75% of ERP customers will look at various features rather than just at the price of user experience. Functionality is going to become paramount during ERP implementations. As many ERP tools are in the market already, pricing is competitive and it is easy to find a good bargain. However, many ERP tools lack specific features that business users require. 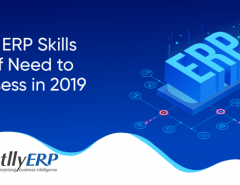 Thus, those who purchase ERP in 2019 will look at how closely an ERP’s features are aligned with their enterprise requirements. With GDPR and other regulations tightening their nooses around businesses, it is crucial for business owners to make sure they comply with data and privacy laws. ERP stores an enormous amount of sensitive data and processes it as well. Thus, businesses are likely to scamper and meet the various requirements of their jurisdictions. HIPAA is another regulation that health-based businesses may have to comply with. Regulatory compliance is a serious issue and non-compliance may result in huge fines. Much ERP-related conversations within the boardroom will thus concern compliance issues. Today, ERP tools come with a number of features. However, most vendors are not the same and users often do not get the features they are looking for unless they ask for it. Savvy ERP vendors will begin to offer personalization and customization as a feature, and will help businesses to make the most of their ERP tool. Thanks to data insight, personalizing ERP to suit a business’ unique requirements becomes easier. Data insight-related customization and personalizations will take center-stage in 2019. 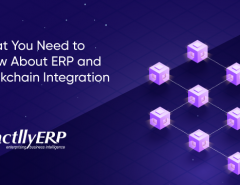 Ultimately, businesses will begin to question how ERP is going to solve their unique problems, instead of wondering how ERP is going to help them. Until now, ERP’s mobile capabilities were not taken very seriously by even the most mobile-centric businesses. 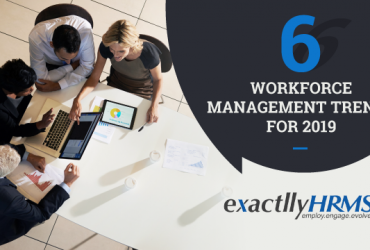 However, with most employees using their own mobile devices to access work related tasks, making ERP mobile-centric is crucial. Developers will scramble to make mobile ERP more secure against threats and vulnerabilities. Businesses, on the other hand, will focus on developing BYOD policies that are safe and secure for everyone. Mobile accessibility will remain a hot topic throughout 2019, and both clients and vendors will focus on making ERP more secure and easy to use on mobile devices. Speaking of mobile security, ERP is also vulnerable to legacy systems and on computers. Developers will need to start working on making ERPs more secure as threats and attacks increased dramatically in 2018. Organizations will need to start updating their ERP and add security patches whenever required. If one is purchasing an ERP afresh, making sure that it complies with security requirements and that it is easy to audit the tool are key factors while making a selection. As mentioned in the introduction, the rise of artificial intelligence and Internet of Things have opened up new avenues and roles for ERP tools. ERP tools can be integrated with IoT sensors if one were to offer maintenance or after sales support. Artificial intelligence may help businesses to make accurate predictions based on data stored in ERP. The possibilities are endless and businesses need to work with their vendors regarding which emerging technology is best suited to integrate with ERP to meet their unique business requirements. As you can see, we are unlikely to see dramatic changes in 2019 regarding ERP. The tool has reached a level of technological sophistication that renders it stable against dramatic changes. Yet, vendors and clients will focus on features and customizations, while ensuring that the tool complies with various regulations. In addition, enhancing mobile accessibility will be a central feature throughout the year, as shall be fixing security threats. Finally, some businesses may choose to integrate their ERP with emerging technologies such as Blockchain, Artificial Intelligence and IoT to meet their unique business requirements.